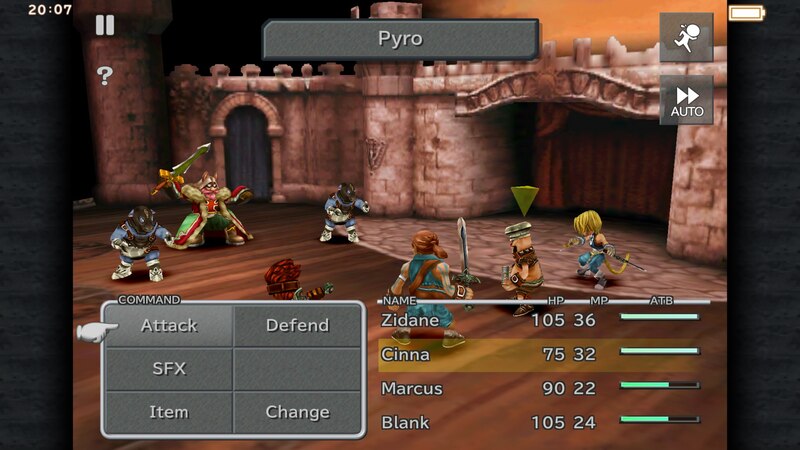 I had often wondered if we were going to see Final Fantasy 9 ($20.99) on iOS. As the only installment of the PlayStation 1 trio without a PC port, it was going to take a lot more work to get the game going on other platforms. At the same time, it’s also the lowest-selling among its PlayStation peers, and while it seems to be generally more well-liked than Final Fantasy 8 these days, it’s hard to say how well Square Enix would be able to financially justify what would have to be a high-effort port. Well, I guess the numbers must have finally worked out, because not only is Final Fantasy 9 now available on iOS, the quality of the port is well beyond my expectations. This is a great RPG from one of Square Enix’s best eras, and it’s been given an exceptional amount of care in the transition to mobile. I’m sure many of the people reading this review have played Final Fantasy 9 before. On the other hand, this game is more than 15 years old and hasn’t left the PlayStation eco-system before, so I’m sure many of you haven’t. So, I’m going to start by talking about the quality of the port, and then I’ll go into a review of the game itself. If you want the short version, this is an excellent port of a very good game, but neither the port nor the game itself are without their flaws. Even taking the few issues with the port into account, this is, without question, the best version of the game, to the point that it would be silly to play the older version if you have access to this one. The challenges in porting this title to any modern platform were numerous. 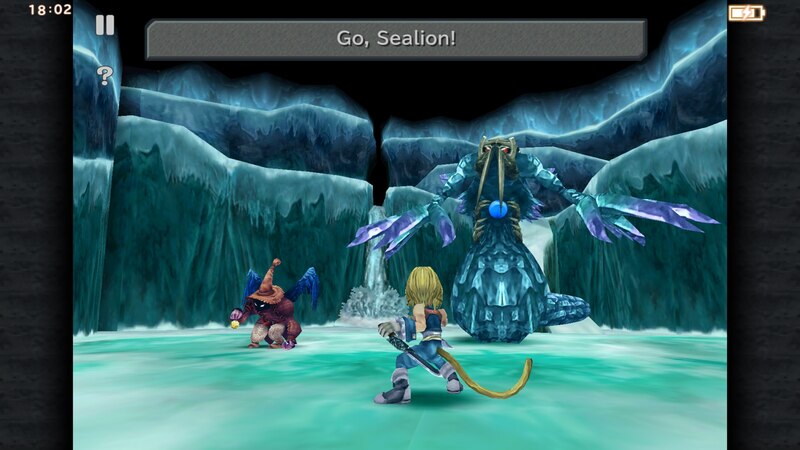 As with the other two PlayStation 1 Final Fantasy games, many of the 3D assets for the game’s backgrounds were not kept. Unlike the other two, there is no PC version of the game, which means that most of the background images were only available in their 320 x 240 versions. Modern mobile devices rarely use that aspect ratio, and the resolutions of their displays are significantly higher. Left as-is, the backgrounds would look terrible, but creating them all again from scratch would be like making an entire new game. A less significant but still important issue is that the game would have to be fully ported from the PlayStation 1 version, as there is no PC version to put a wrapper around similar to what they appear to have done with Final Fantasy 7 ($15.99). Apart from those main issues, they also needed to account for mobile-specific features, and if possible, address some of the complaints with the original game. Keeping that all in mind, this port is just about the best it could be. All of the 3D objects in the game are presented at much higher resolutions, and many of the character models have been touched up to give them added detail. The main characters look fantastic thanks to this, and even minor characters benefit from the increased resolution and a bit of texture filtering. The backgrounds appear to have been filtered and touched up, which is probably all they could realistically do. They never look great, and sometimes the blurriness washes out details, but at least in my case, my eyes adjusted after a while, so they didn’t bother me too badly. I’ve replayed the original recently on an HD TV and a Vita screen, and it looked even worse there, so I guess this is the best we’re going to get for now. If you’re playing on a device that doesn’t follow the original 4:3 aspect ratio the PlayStation game was designed for, you’ll also have to deal with borders on the sides of the screen. Again, there wasn’t a lot they could do here. The full-motion video cut-scenes are quite clear, but on my iPhone 6S Plus the first few seconds of each and every one of them suffered from stuttering and choppiness. With the frequency that videos pop up in the game, sometimes to bring backgrounds to life, this is a pretty annoying problem, and one I’m sure is fixable. One other compromise is that it appears the music has been compressed more than it was in the original version. It still sounds great, but if your hearing is sharp and you’re playing with headphones, you’ll probably notice the slight dip in quality. The user interface has been completely redesigned for touch screens, and it works a lot better than Final Fantasy 7‘s controller overlay. Menus respond to touches just as you would expect them to, and you can even tap a point on the screen to move your character there if you don’t feel like using the virtual stick. As with the iOS port of Final Fantasy Tactics ($13.99), there are occasional situations where it feels like you have to tap something very small, but in general, the controls and user interface are excellent. I only have two complaints. First, the game treats the borders as dead zones, so if you try to move your thumb outside of the main play area, you won’t get a response. Second, although the game has MFi controller support, it seems to be buggy or outright broken on most controllers at the moment. I imagine both of these issues will be fixed in the future, though, and in form and function everything else works very well. As far as additions go, the game includes a selection of cheats along the lines of those found in Final Fantasy 7. You can access them from the pause menu, so they aren’t staring you in the face the whole time you’re playing, which was a complaint some had about Final Fantasy 7. The framerate in Final Fantasy 9 is better than that game’s iOS port, too, matching and even improving on the original PlayStation version in places. It’s still not as smooth as it could be, but I suspect they couldn’t venture too far away from the original without breaking things. There are two great new things in this port that I really like, too. First, you can flip a setting in the config menu to turn off battle introductions, which reduces the amount of time it takes to get into a battle by about five seconds. This goes a long way towards correcting one of the major complaints about Final Fantasy 9, the overall slow speed of the battles. The other thing I really like is that the game auto-saves after every screen transition. Of course, you’ll want to make a manual save at every opportunity just to be on the safe side, but it’s really great to be able to fire up the game, run through a couple of screens, and close it without worrying about sniffing out a save spot. As an added bonus, it also works like a checkpoint in case a boss wrecks you. Just hit continue from the main menu and you can take as many tries as you need. Cheating a little? Sure, but it’s fairly harmless and certainly more convenient for mobile gamers than Final Fantasy 7‘s rigid adherence to the original save system was. In fact, I’d say this save system is probably my favorite new thing about this version of the game, as it makes it a lot easier to sneak in quick slices of the game during pockets of free time. So if you’re wondering about the quality of the port, there you are. It’s an excellent port, easily the best of the Final Fantasy games on iOS so far, and worthy of mention among the best transplants to the platform such as Christian Whitehead’s Sonic The Hedgehog ports and Rockstar’s Grand Theft Auto conversions. The only way it could have been better is if it had been completely remade from scratch, and I suspect neither the game nor the platform could justify that kind of investment of resources. I wish Square Enix would show this level of care to all of the games they bring to the platform. I sincerely hope this, along with the more recent releases in the Dragon Quest line, demonstrate a new approach to mobile ports from the company. I suppose time will tell on that one, but if nothing else, Final Fantasy 9 fans have gotten the royal treatment after a very long wait. As for the game itself, I have some conflicting feelings about it. It’s a very calculated throwback, and at the time of its release, it got a fair bit of criticism for that. In the here and now, with almost 16 more years down the Final Fantasy road, its reflection on the games that come before it is, at least in my books, quite welcome. Some of the references feel like they’re winking a little too hard at the audience, but there’s quite a bit of sincerity running through most of the game. This was probably the last time series creator Hironobu Sakaguchi had a major creative hand in a Final Fantasy game, which I think accounts for why it feels to many like it was the last traditional Final Fantasy. It’s kind of funny, because for most of its development period, the team making it wasn’t even sure it was going to be a numbered installment in the series. It has a very different look to it compared to the other PlayStation Final Fantasy releases, owing largely to the return of Yoshitaka Amano, the lead artist on the first six Final Fantasy games. 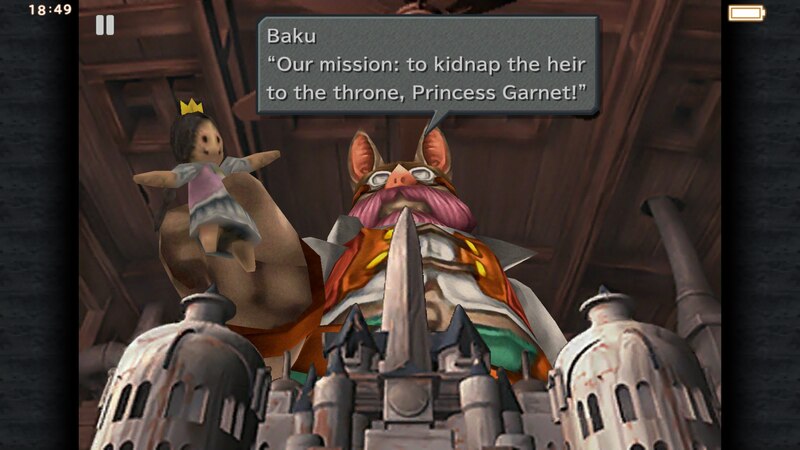 Sakaguchi believed this aspect made it more suitable as a spin-off title, but Square Enix felt the game was worthy of being a mainline entry. They weren’t wrong. Final Fantasy 9 has everything a Final Fantasy game ought to. There are tons of interesting places to visit, with fantastical cities, bizarre dungeons, and a big world map to explore. The cast of playable characters is fairly large, and unlike the previous two games, each has their own unique skills that separates them from the others. Each of the party members gets their own little slices of story to call their own, but the main focus is on hero Zidane, heroine Garnet, and the heart of the story, the black mage Vivi. 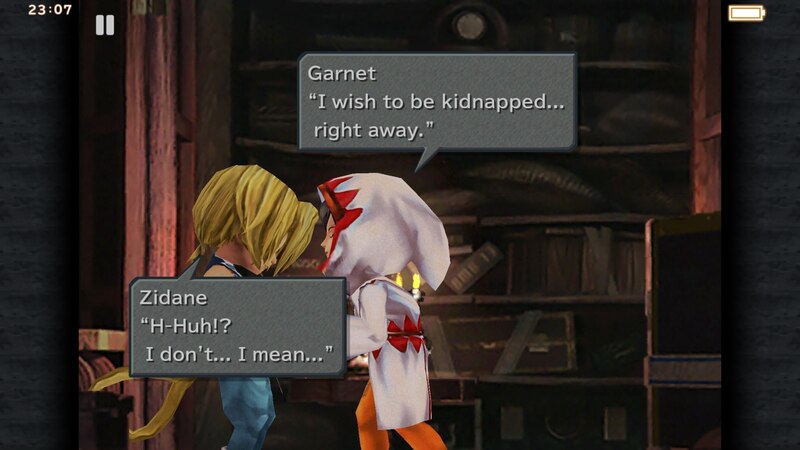 The story is the strongest when it’s focused on Garnet and Vivi’s struggles with their identities and roles, but in the later part of the game, things start to home in on Zidane’s issues, which is where the game’s story always falls apart for me. For most of the game, he’s a refreshingly light hero after the gruff Cloud and the mopey Squall, but I guess Final Fantasy 9 wouldn’t be much of a Final Fantasy throwback if it didn’t fulfill the need for main character melodrama. The villains in this game are also particularly forgettable, and coming off of Final Fantasy 8‘s weaknesses in this area, that’s really saying something. Still, I think Final Fantasy 9 is my favorite of the PlayStation-era Final Fantasy games. What it lacks in a strong villain it more than makes up for with a likable core cast. 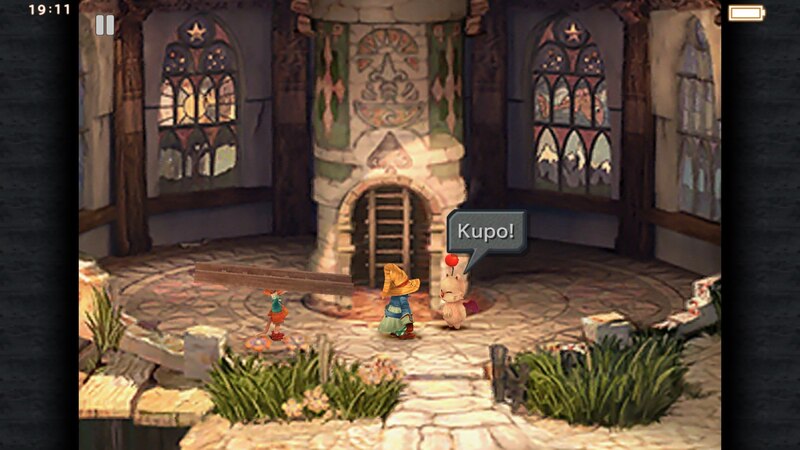 While there are characters who I feel are completely squandered, like Amarant and Freya, and at least one toss-away in the form of Quina, the rest of the crew is strong, playing off of each other quite well. Vivi is the main stand-out, and I think he’s as good of a character as the series has to offer, with an excellent arc that pays off well emotionally. Like most of the games in the series, the story drags a little too much between the halfway point and the ending, with a great deal of its story momentum front-loaded and the remainder packed into the ending. But wow, what an ending. After a couple of entries with vague endings that didn’t do much to satisfy after the long journeys before them, Final Fantasy 9‘s close is emotional and triumphant, leaving very few unanswered questions. In terms of gameplay, I find Final Fantasy 9 more mechanically interesting than Final Fantasy 7 due to its larger party size and more specialized characters. Its basic systems are more functional and intuitive than Final Fantasy 8‘s innovative, messy ideas, too. The battle system follows the traditional Active Time Battle rules closely, a tried and true system that works well, even if it means combat is nothing particularly special relative to other installments. This game’s take on Limit Breaks is the Trance system, which differs from the former mainly in that they’re triggered automatically, making it more difficult to game them for use against bosses. I think that’s a good change given how overpowered Limit Breaks were in the previous two games, but others might find it annoying. As already mentioned, each character has their unique skills, so if a character can’t use Magic, that’s all there is to that. I find this adds value to each of the characters and encourages you to change up your party based on the threats you’re facing. This means you’ll sometimes need to use characters who you don’t necessarily like, but I feel like it makes for better encounter design and grants an extra layer of strategy to the game. You do have some input on how your characters progress, however. In addition to their basic skills, characters can learn new abilities or magic spells by equipping gear. Each piece of gear has some abilities it can teach, although certain skills are limited to particular characters. Winning in battle will reward you with some ability points in addition to the regular gil and experience, and when you’ve reached a set number, your character will permanently learn the associated skill. It generally takes longer to permanently learn the skill than a gear piece is useful for, so you’ll frequently have to choose between using the best gear for the stat benefits or keeping old gear equipped to learn new abilities. If you’re the sort that really wants to max out your characters, this system could be a nightmare, but I rather like it. It makes me want to sniff out and collect every piece of equipment so that I can have access to the full range of abilities. I think I use the Steal ability more in this game than any other Final Fantasy as a result. 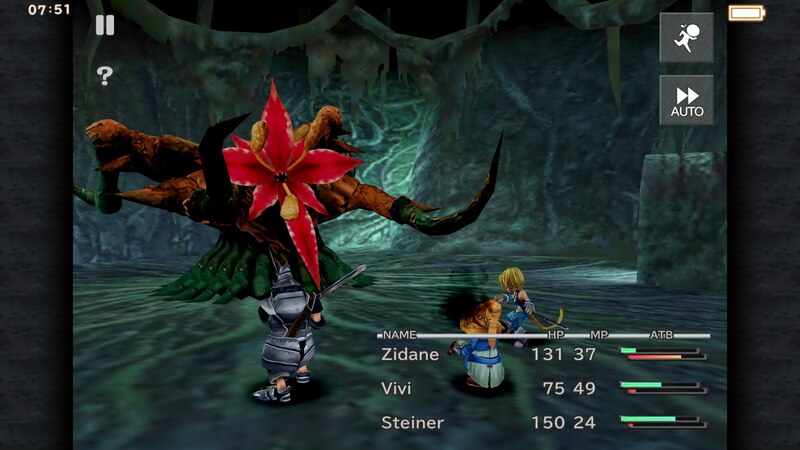 While there aren’t quite as many mini-games in Final Fantasy 9 as there are in Final Fantasy 7, the few that are here are substantial. The highlight is Chocobo Hot And Cold, a treasure hunt that sees your party’s chocobo digging around for treasure maps and some extremely powerful items, while the low point is the confusing card game Tetra Master, which pales in comparison to Final Fantasy 8‘s Triple Triad. It’s a little too random, in my opinion, but if you like Othello, you might enjoy Tetra Master enough to put up with its eccentricities. You’ll only have to play it a couple of times in the main story, so if you don’t like it, it’s not a big deal. I do have to point out that this game contains one of the most irritating secrets in Final Fantasy history, requiring the player to do an absurd speed run in order to obtain the best sword in the game. You do not need that sword in any way, shape, or form, but it’s something that always sticks in my craw when I come back to this game. 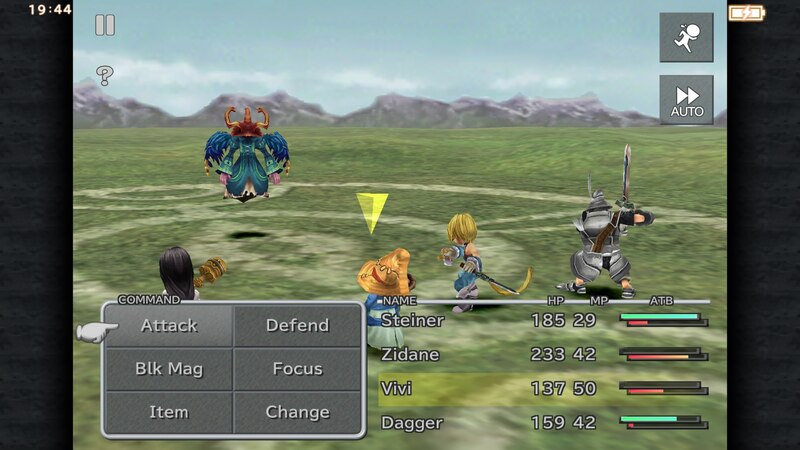 Outside of those minor distractions, most of Final Fantasy 9‘s gameplay is quite predictable by design. You’ll visit a new town or city, stumble on some reason to explore a nearby cave or dungeon, and finishing that will somehow open up the path to the next town or city. At various stages of the game, you’ll gain access to new means of transportation that will slowly open up the world map for exploration. You can find sub-quests by going off the beaten path, and there’s a ridiculous optional boss for expert players to grind their teeth on. As this is a deliberate throwback, many of the situations and characters you come across will echo previous games in some way, which can be a lot of fun as long as you aren’t annoyed by exploring yet another volcano or giant tree. For what it’s worth, the dungeon layouts are quite good, nicely demonstrating the team’s experience and maturity at working with pre-rendered areas. Final Fantasy 9 has its issues with pacing and story, and there are some minor, perhaps unavoidable issues with the port. It needs one solid update to take care of the problems with MFi controllers and the videos stuttering, at the very least. That said, while I could knock it for what it isn’t, I think I’d rather praise it for what it is: the best version to date of an extremely good RPG, one that might not be in the upper echelon of the overall genre, but certainly in that category relative to other mobile offerings. I loved this game nearly 16 years ago as a joyous farewell to a series I felt was drifting away from me. Even though I ended up adjusting just fine to Final Fantasy‘s new direction from that point on, I still love Final Fantasy 9 today. Not as a farewell to the traditional, but as a wonderful celebration of it.